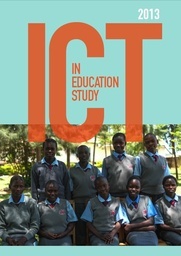 Findings from the Earth Institute’s one-year collaborative action research study in conjunction with Columbia University Teachers College, University of Nairobi, and Kampala University showed significant potential for improved teaching and learning with Information and Communications Technologies (ICT) when the technology strategy is appropriately designed for its intended environment and adequately supported with infrastructure and ongoing professional development for teachers. Partnering university faculty and secondary school teachers working in close collaboration at four rural schools in Kenya and Uganda, investigators worked for one year to understand the effects, opportunities and challenges of integrating ICT into schools and teaching routines. Interviews, training workshops, surveys and observations conducted indicate significant improvements in teaching and learning when ICT tools and resources are well-designed with the school infrastructure and environment in mind, and when teachers are provided with thorough training and professional development in how to optimize these resources in their classrooms. Research findings show that over the course of the year, guided use, training and professional development workshops offered essential support for teachers focusing on using ICT in their classrooms. There were significant increases both in teachers’ reported skill and comfort with using ICT for educational purposes, as well as in the observed use of ICT in their classrooms. For example, where only 21% of teachers considered themselves to be “advanced” users of ICT at the beginning of the project, by the end, 45% of teachers were reporting themselves to be advanced users. There was also an 18% increase in reported use of ICT in the classroom over the course of the project. Public-Private partnership implementation, urging each site to hire local facilitators to provide ongoing support to administrators and teachers, and forging partnerships with local decision-makers and telecommunications industry leaders to institutionalize the integration of ICT at all levels of education. Professor Jeffery Sachs, Director of the Earth Institute at Columbia University and Special Advisor to the UN Secretary-General, said: "Education is at the very core of economic development and a key to ending poverty. In the world economy today, every nation’s success depends on the education of its people, ICT will increasingly be at the center of the education process. ICT offers new and creative ways to combine classroom experience, home learning, global outreach, and connectivity of students and teachers to the burgeoning network of online learning now accessible throughout the world. Classrooms everywhere, from primary schools to higher education, will be dramatically transformed in exciting and enriching ways. "Effectively integrating technology into teaching practices in resource-poor settings requires bringing many key elements together to enable ICT to fulfill its great potential for improving student learning outcomes,” continued Sachs. "Reliable connectivity, a consistent energy supply, and teacher training are among the key elements for getting started. Designing new curricula that combine online and classroom learning is another high priority. Through broad-based investment and dynamic partnerships with the telecommunications leaders of the world, there is a huge and thrilling opportunity at hand." The ICT in Education Study was designed, commissioned and managed by the Connect To Learn team, based at the Earth Institute at Columbia University and Millennium Promise. The study was conducted with funding and technical support from Ericsson.